In 2014, PVF awarded grants to six young Bay Area residents for coming up with fresh ideas for building better communities. These awards were made possible through the Bay Area Inspire Awards, which provides $10,000 grants to 18-30 year olds living in San Francisco or Alameda Counties with an innovative, community-oriented idea. PVF interviewed each grantee to give you a sense of what these amazing individuals are doing to change their communities for the better. 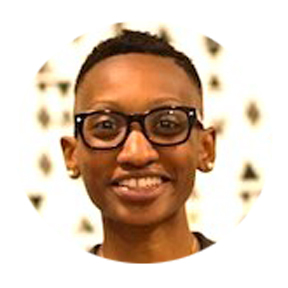 Below is our fourth interview is with Holley Murchison, who is using her award to help at-risk youth in Oakland find their voices and become effective public speakers. PVF: Tell us about your project and the importance of helping at-risk youth become effective public speakers. HM: Your voice is one of the brightest tools you have to take a stand, spread ideas and create change. I believe that some of the brightest ideas for sparking change, especially within education, will continue to come from our youth. And we’re at a point in history where it’s more important than ever that when given the platform(s) to share, they feel prepared. 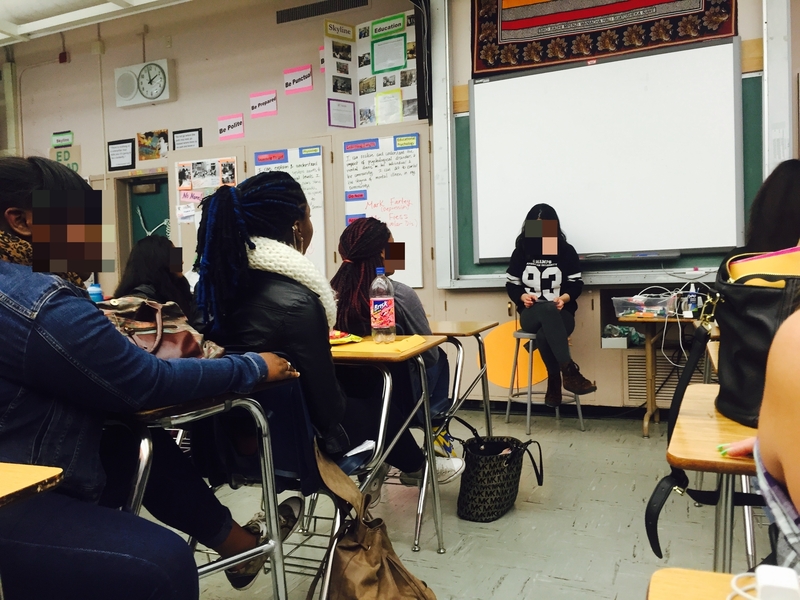 My project is a public speaking training program for transitional age youth and students from underrepresented high schools and communities. The training will equip participants with the communication skills needed to thrive in the evolving world and workforce — from making self-introductions to pitching ideas and leading discussions. The biggest goal with the training is to help each participant really hone their delivery and speaking style so that no matter the occasion, they can connect confidently, meaningfully and authentically. Based on their personal experiences and research, throughout the training participants will develop presentations expressing a viewpoint on an issue of importance to them – or – introducing an idea for the change they’d like to see in the world, starting with their communities. PVF: How is the public speaking training program structured? What makes it unique? HM: Initially I planned to pilot the program this spring across six weeks at different high school, youth enrichment and TAY program locations. But after working with Skyline HS in Oakland over the past few months customizing weekly workshops for their Education Academy students, I realized the training program would have more of an impact if facilitated over consecutive days with more rigorous sessions. And I thought it would be more beneficial to launch it closer to the start of the school year, not at the end. So this July, I’ll be offering two, weeklong immersive trainings open to 10 – 15 participants each. Each week will begin with a Sunday brunch orientation for participants and their families. The training will be facilitated Monday – Friday (half day) with a closing ceremony on Saturday where participants will share their final presentations with family, friends, program supporters and a listening panel of special guests. Students at a workshop led by Holley. All of the workshops, exercises and challenges within the training are centered around topics, content and concepts youth care about and can relate to. Throughout the week they’ll also hear from millennial social entrepreneurs and creative professionals across industries to learn how they’ve come to define success for themselves and how their ability to communicate effectively plays a role in that success. There will be a few surprises and goodies sprinkled throughout the week, too. I’ve always enjoyed learning most when I was given opportunities to apply what was taught vs. memorizing it for an exam, so when it came to restructuring the program, I wanted to make sure it was interactive and engaging and I’m really excited about the vision for it. PVF: Tell us about some of the successes you have had so far. HM: I think the biggest success so far has been finding key players who believe in the project and are willing to be a part of the team to help bring it all together. I’ve been able to connect with fellow educators to get their feedback and support with the development of the training. I’ve also partnered with an awesome strategy and graphic design studio; they’ll be designing all of the materials associated with the training. And in terms of space, I have a few really great options in Oakland and I’ll be deciding soon where the training and closing ceremony will be hosted. PVF: Why are you interested in creating change in your community? HM: Growing up with four siblings in a single parent household, my mom always taught us to take care of each other and those around us – essentially, to be good to people. That’s a lesson that’s guided me through life. And when I think about creating change in the world, for me that starts with home, in my community. It’s important to make a contribution where you live, to add value. That’s how communities thrive and grow together. To me that’s what it’s all about. 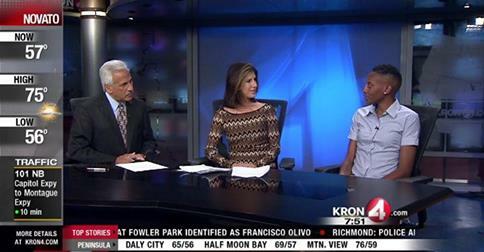 Holley was interviewed on Kron 4 News recently about her project. PVF: What is your hope with how this project will create change? HM: There’s a “what next?” component built into the training that will support participants in identifying what intentions they have for their final presentations beyond the week. Each participant will be asked to commit to at least one action step to move those intentions forward. This could mean anything from executing the ideas they’ve presented – to – revamping their presentations to deliver to an even larger audience. I’m in the process of figuring out how to creatively match youth with the support and resources they’d need to carry out their action step(s). My hope is that through the connections participants make with the special guests and each other, they’re able to not only carry what they’ve learned into the new school year but are confident enough to share it with others and help amplify youth voice wherever they are. HM: I’m grateful for the opportunity to relaunch the youth training through the BAIA grant and I believe that beyond enabling young people like myself to lead initiatives, providing funding and other resources for community projects reminds people that change is possible, plants a seed for even more to take action in their communities and exposes them to new access points to be able to do so. PVF: What are the next steps for you and your project? HM: My next steps are working with my team to finalize and launch the student sign-up process for the program kick-off as well as continuing the planning process for the program’s closing ceremony. After the summer, I’d like to partner with a few high schools, youth enrichment and TAY programs in the Bay Area to begin offering the training to more youth during the 2015-16 school year.